I knew that those cigarettes have some history to it, but somehow no one cares. These cigarettes are elusive and very hard to come by. Online searches found the tobacco company I was looking for. A few phone calls to them NEVER got me assurance that I can get something, nor have gotten an arrangement for a purchase. They were nice, but I should be writing something about their product right now if I was helped enough. Surprisingly, the guy I talked to said go to Tarlac Market and buy there! Like Tarlac was just a jeepney ride away! Head office in Makati and Factory in Bulacan, so I have to travel to Tarlac to buy. Only crazy people do that. Fortunately, I am that crazy. I understood none would extend help. Its more complicated than it seems. Anakin Skywalker said in Star Wars Episode One, the biggest problem in this universe is that no one tries to help each other. Seems true enough. No hope in the internal route, so out there in the province of Tarlac is the best way. I can't go to Tarlac Market in a moment's notice, but I'll write about it when I do it. 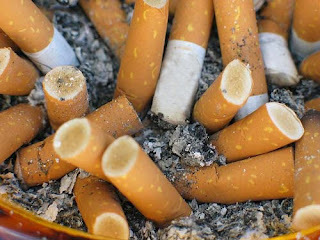 All these to find a few cigarettes. I'm not even sure if there's something to buy when I get there. Nevertheless, its still an adventure so better watch out for that. This marketing guy I spoke to also said the Filipino cigar type cigarette is a dying market already. Hell yeah! 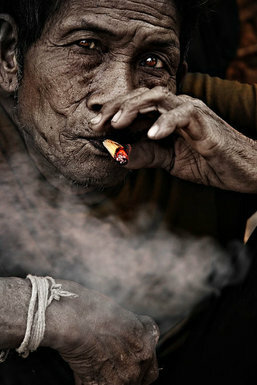 Didn't he know smoking kills? Would you expect people living longer because of smoking? Ow c'mon!! !